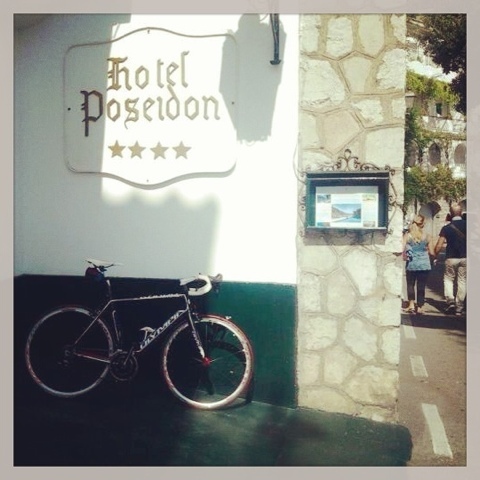 This photo was taken during the pick up delivery at Hotel Poseidon in Positano of an high end full carbon road bike provided for rent by our company to hotel guest. Our customer enjoyed every early morning training activities along hilly roads of the Amalfi coast to Sorrento and Salerno directions over to climb the Cima Coppi peak in Agerola village. At sunrise and sunset the Amalfi coast roads aren't busy, without cars and very suggested for landscapes and colours.